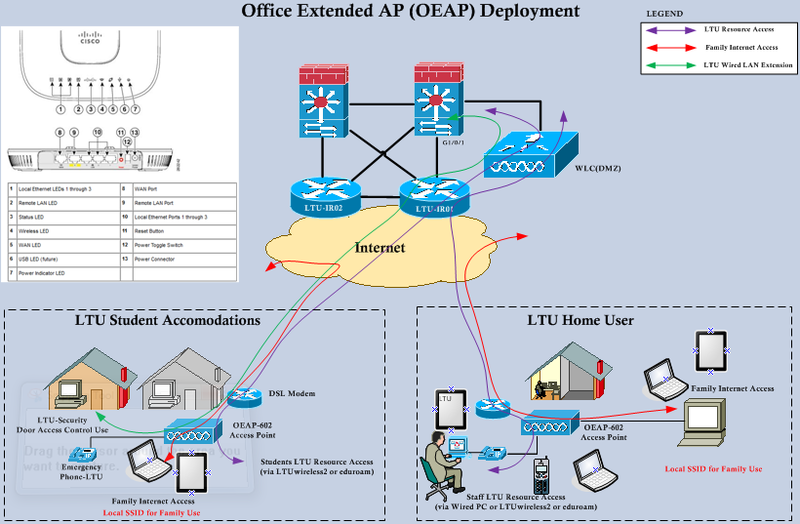 Normally Cisco Office Extend AP (OEAP600) allow user to extend their office network into any public place (like home, event venue, etc) without much trouble.This AP has 4 ports (excluding WAN port) where one (Yellow port) of them labeled as Remote-LAN that can be used to extend one of your wired LAN. In my office environment below is the typical use-case for OEAP solution. One type of users are normal staff user where they require corporate WLAN to be extended to their home. In certain cases (VIP) extending a wired LAN for their VoIP phone & if required wired PC connect to it. This is pretty much out of the box OEAP can do. In the next user group is students who are given accommodation in small units scatter around the state. Mainly those are in regional areas & DSL would be the preferred solution for internet. Other than typical office extend user requirement this bring additional requirement. Our Security group required extend their Door Access systems wired VLAN to these remote units. That’s where you require to configure Multiple Remote LANs in OEAP. Will look at how we can do this in this post. Keep in mind screenshot below is based on WLC 7.4 software code (you may look this differently based on the WLC software code). In the event that this feature is not configured, the single port 4 remote-lan continues to function. Each port uses a unique remote-lan for each port. The remote-lan mapping is different, which depends on whether the default-group or AP Groups is used. If the default-group is used, a single remote LAN with an even remote-lan ID is mapped to port 4. For instance, the remote-lan with remote-lan-id 2 is mapped to port 4 (on the OEAP-600). The remote-lan with an odd numbered remote-lan ID is mapped to port 3 (on the OEAP-600). rlan2 has an even numbered remote-lan ID, 2, and as such maps to port 4. rlan3 has odd remote-lan ID 3, and so maps to port 3. If you use an AP group, the mapping to the OEAP-600 ports is determined by the AP-Group ordering. 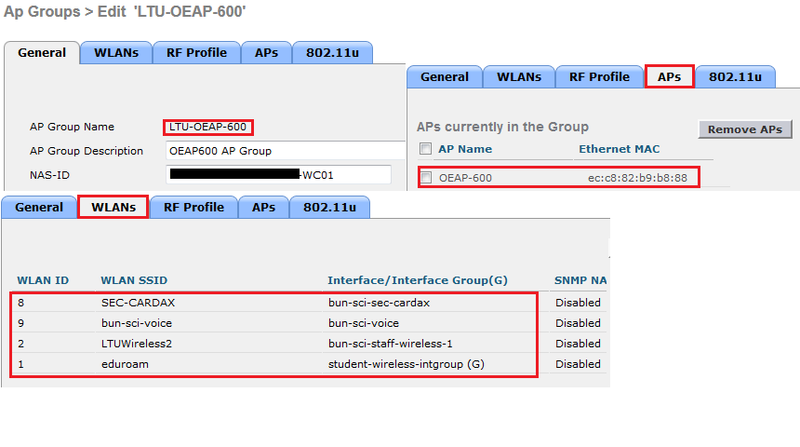 In order to use an AP group, you must first delete all remote-lans and WLANs from the AP-group and leave it empty. Then add the two remote-lans to the AP group. 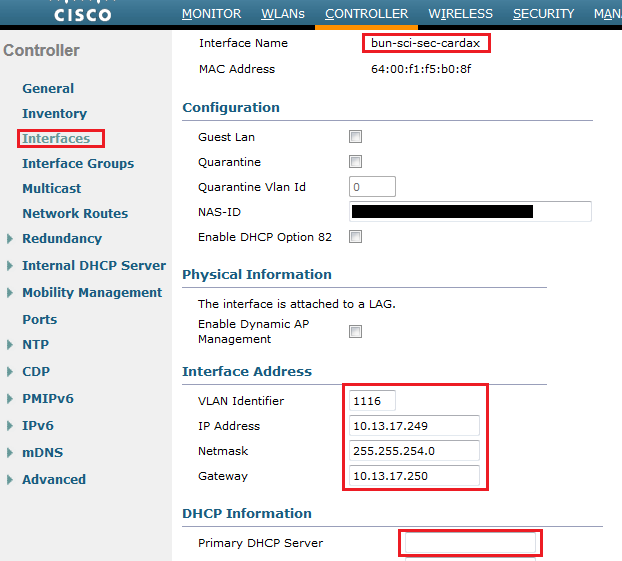 First add the port 3 AP remote-LAN first, then add port 4 remote group, and finally add any WLANs. Here is my AP Group for this OEAP. You can verify the details by using “show remote-lan <rlan-id>” command. Here is output in my case. Finally you can verify this connecting to Port3 & Port 4 of your OEAP. Once you conneted to Port3, Which maps to first remote-lan you added to your AP Group (in my case SEC-CARDAX) get connectivity on that. I have used static IP as I do not want DHCP on this. Once you connect to Port4 which maps to “bun-sci-voice” DHCP subnet I should get an IP via DHCP & should get the connectivity to rest of the network. 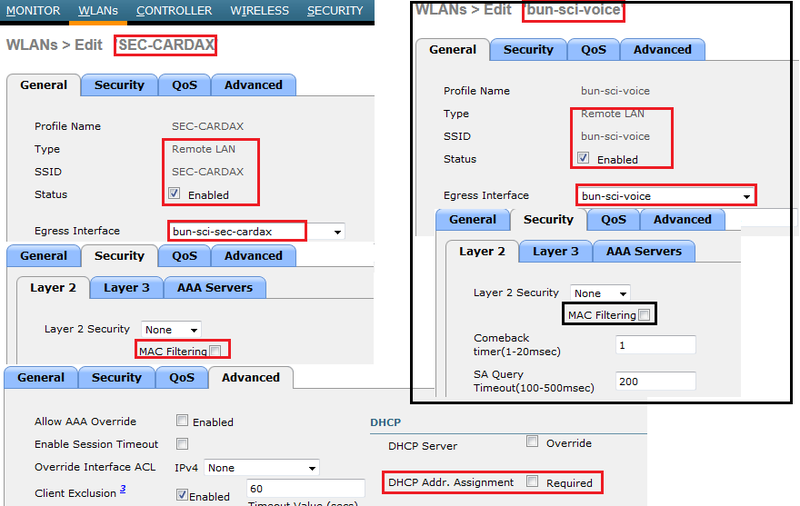 That’s how you can create multiple Remote LAN on your OEAP. You can go through this configuration guide for more detail. 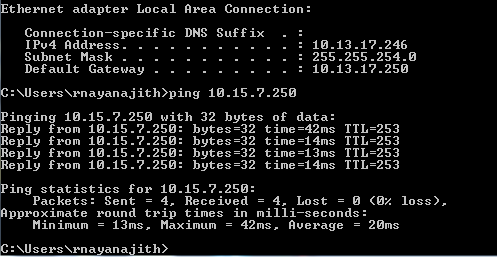 Thanx Rasika , I have just the job for the 2nd Vlan. Great doc! I am connecting my OEAPs to a foreign controller. That said, how do I connect my OEAP rlan to the foreign controller? Is it possible to use unique dual-rlan ports for 2 different AP groups? Or is this limited to just the 2 in either the default group or a single AP group. Your examples just show 2 rlans. I’d like to have 2 rlans for a single AP group and 2 additional different rlans for a second AP group (still using port 4 and port 3 on the OEAP602). Single AP cannot be part of two AP groups. does this mean you can get 8 wired hosts, 4 per remote lan?